Serenity is situated on 1Ha of prime tourist real estate with a 100m beachfront. Shady trees and lush lawns complement the holiday atmosphere. 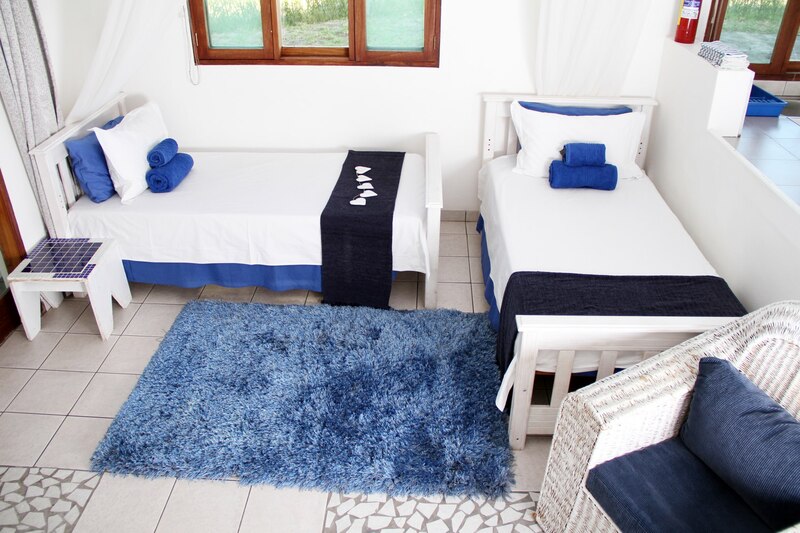 All our units are fully fitted for effortless self-catering! !just bring own food, toiletries and pool towels. 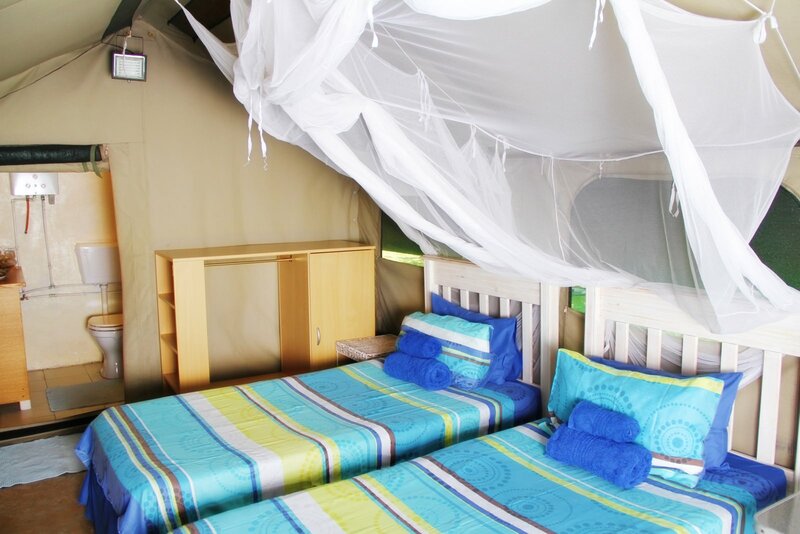 2 x en-suite bedrooms each with a double bed with mosquito net. 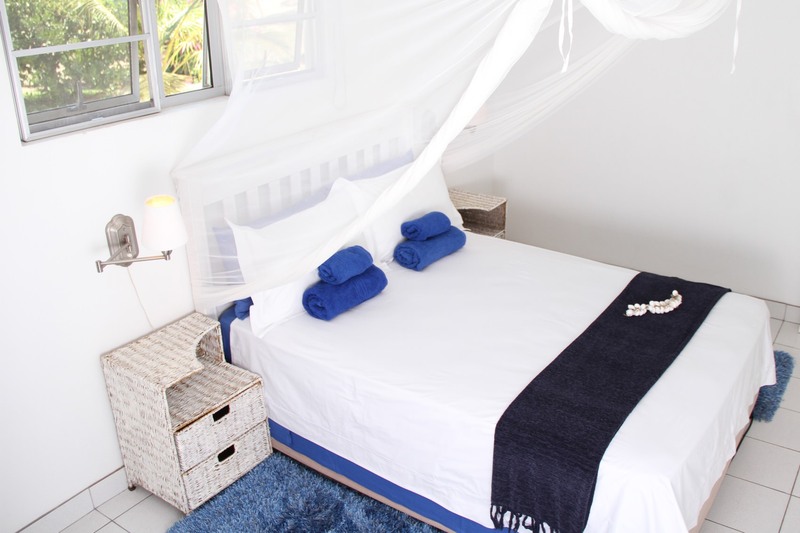 2 x single beds with mosquito nets in the living area. Fridge and chest freezer and fully fitted kitchen. 1 x En-suite bedroom with double bed. Covered carport with each unit. 2 x Single beds with mosquito nets. En-suite bathroom with shower and toilet. Stove, Fridge / Freezer and kitchen area.